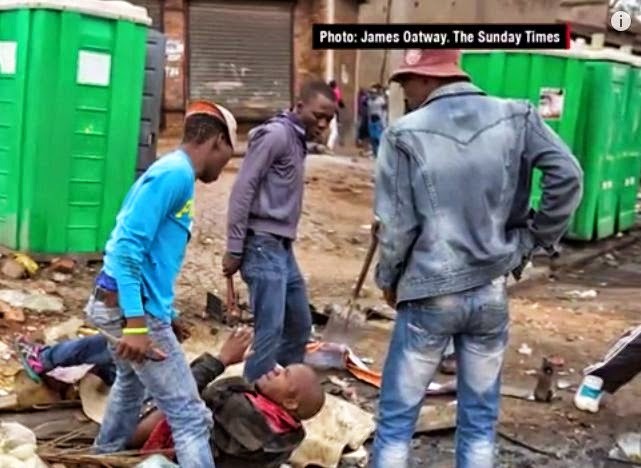 Johannesburg (BloomGist) — Emmanuel Sithole, The Mozambican was walking down a street when four South Africans surrounded him. 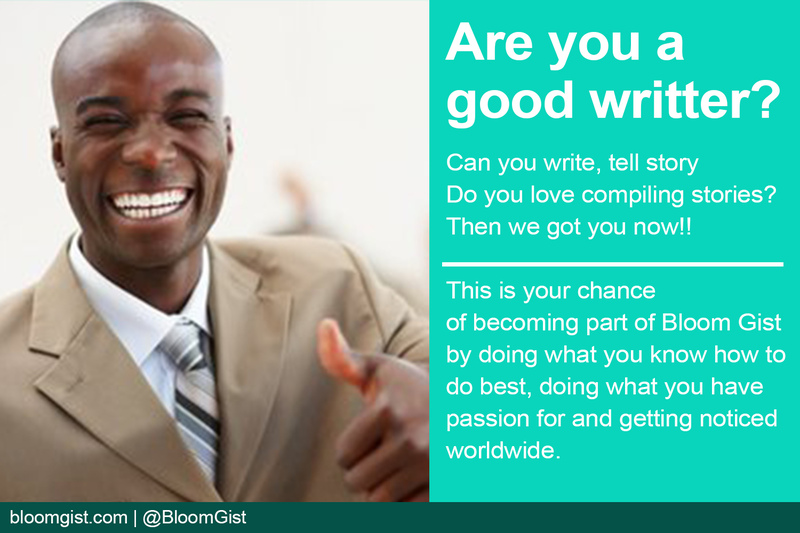 He pleaded for mercy … but it was already too late. 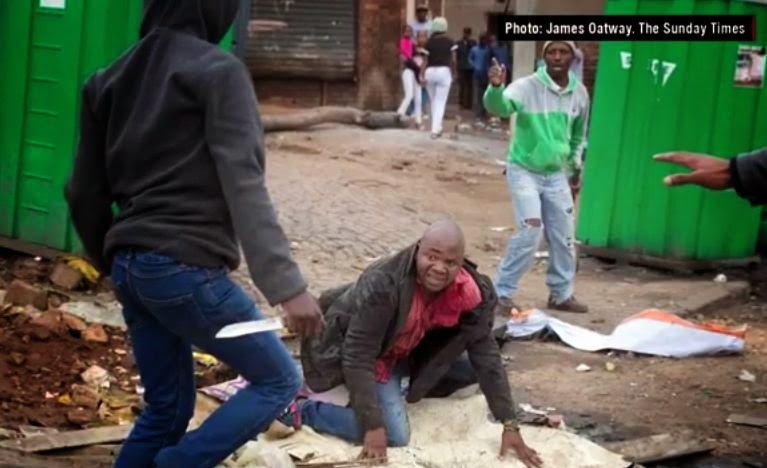 The attackers stabbed him with knives — all in broad daylight … and they were all captured in camera. 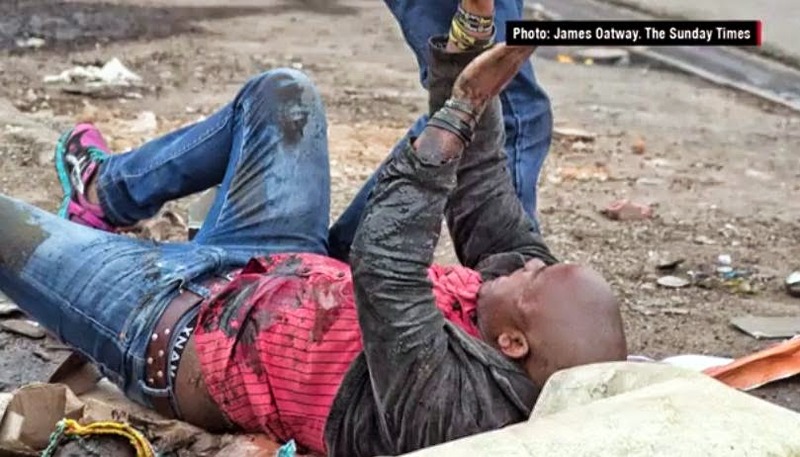 The attackers eventually moved away and left Emmanuel alone. Sunday Times’ Oatway and another other journalist Beauregard Tromp rushed him to a hospital, where he later died. 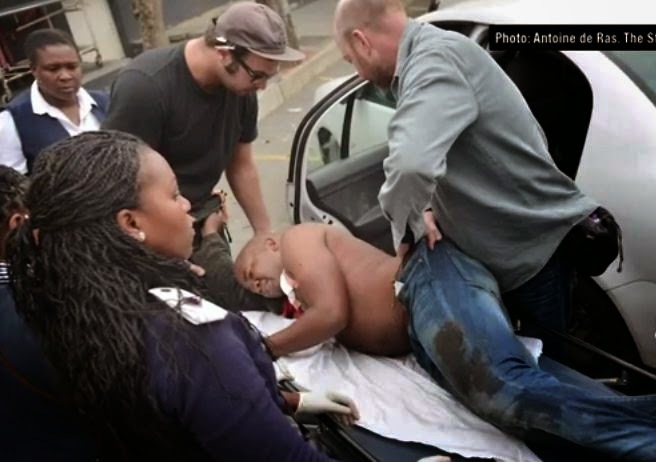 Another photographer, Antoine de Ras, captured the moment Oatway and local authorities assisted the victim. 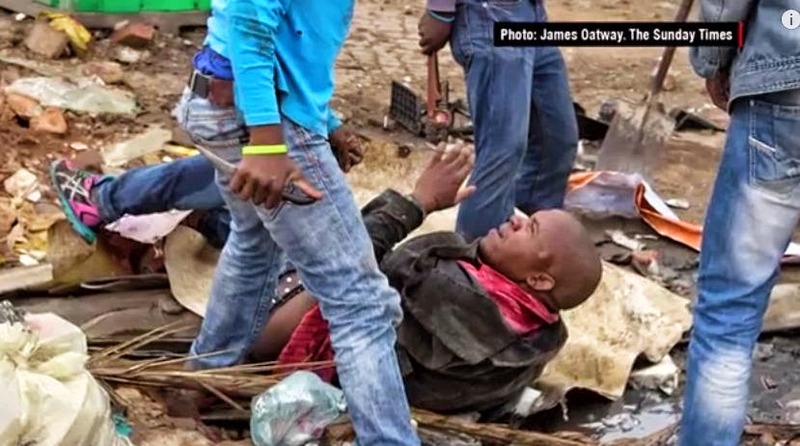 Oatway is the one holding Sithole’s belt. 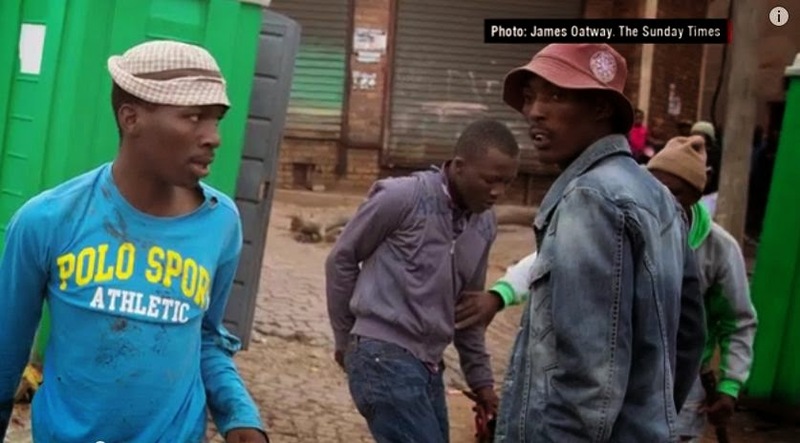 Mozambican Emmanuel Sithole, left, was walking down a street in Johannesburg’s Alexandra Township when four men surrounded him on Saturday, April 18. 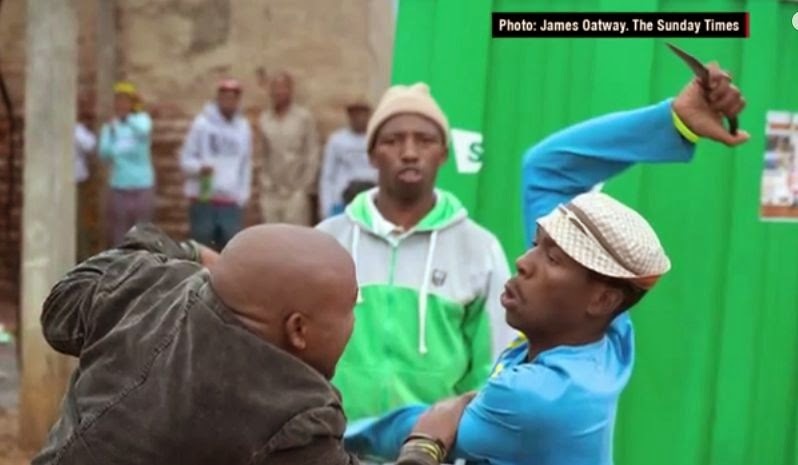 Sithole pleaded for mercy, but it was already too late. 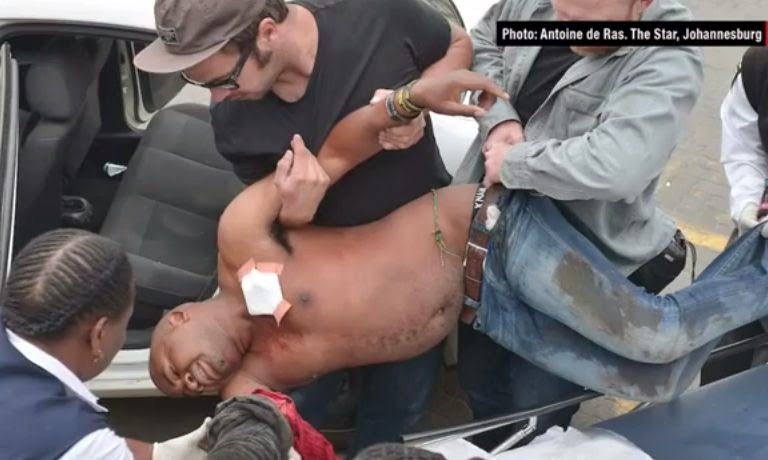 The attackers bludgeoned him with a wrench and stabbed him with knives, killing him in broad daylight. Photographer James Oatway was nearby and captured it all on his camera. 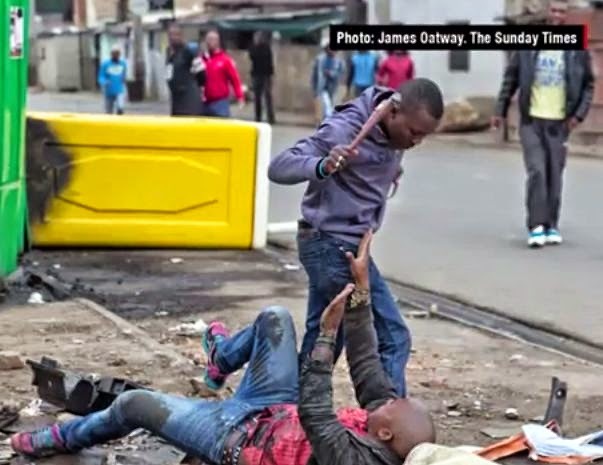 Oatway’s images landed on the front page of South Africa’s Sunday Times under the headline, “Kill thy neighbor: Alex attack brings home SA’s shame.” Seven people have been killed in the latest round of xenophobic violence against poorer immigrants, many from South Africa’s neighbors. 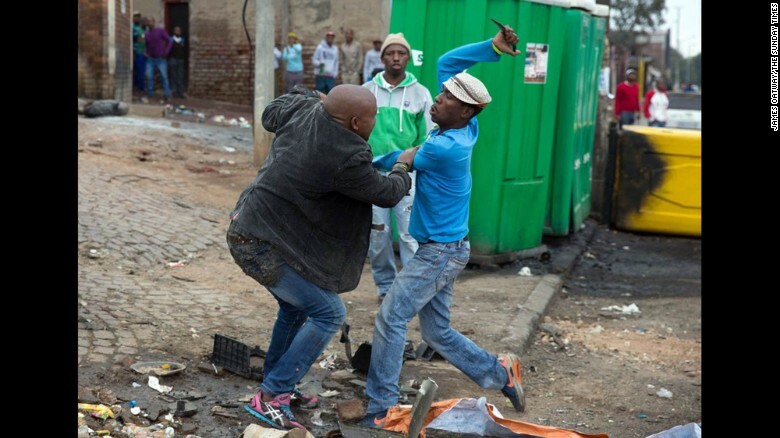 The attackers eventually moved on and left Sithole alone. 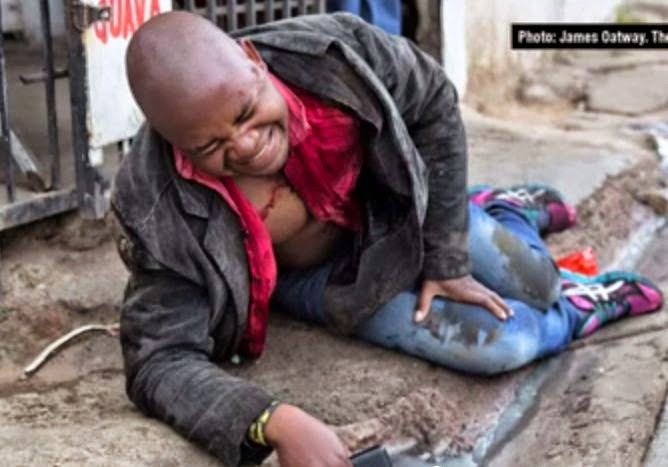 Oatway and fellow journalist Beauregard Tromp rushed Sithole to a hospital, where he later died.